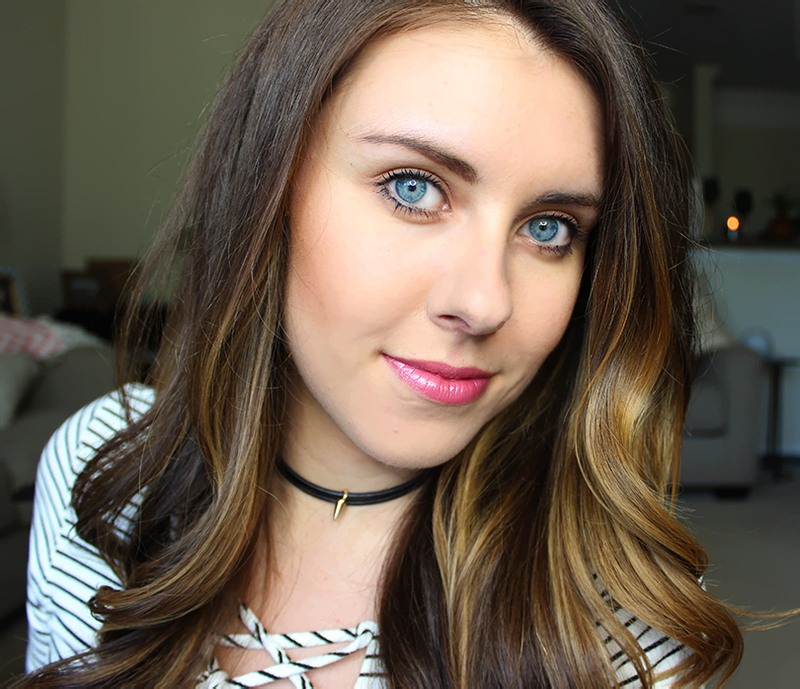 Flawless Matte Complexion & Pink lips: Simple & Natural Everyday Makeup Tutorial with Rimmel Stay Matte Collection! I love makeup and enjoy playing around with it and trying out new looks, but on the weekends I stick pretty much to a natural and simple look. I usually have things to take care of and errands to run, so I want to look fresh but with minimum amount of products used. I think it's great to let loose sometimes and opt for a more natural, subtle makeup. 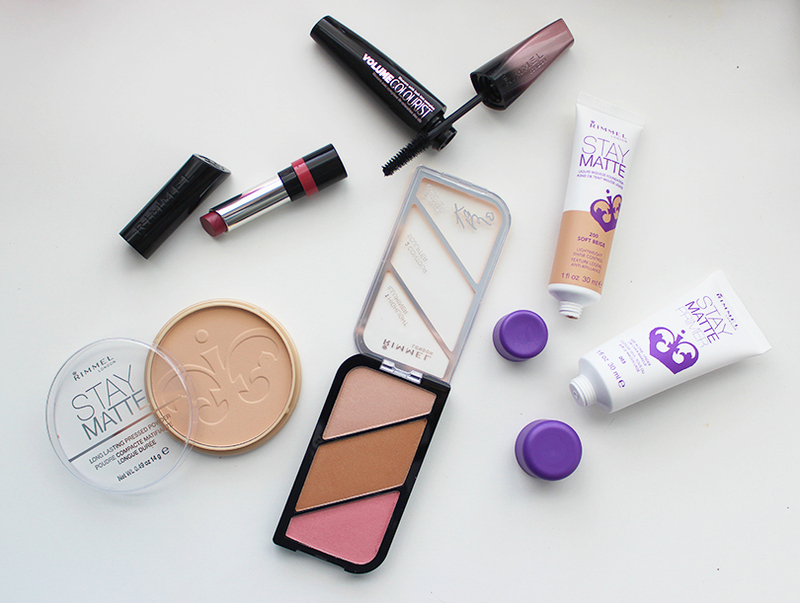 Rimmel Stay Matte collection works great when it comes to creating natural and flawless complexion. 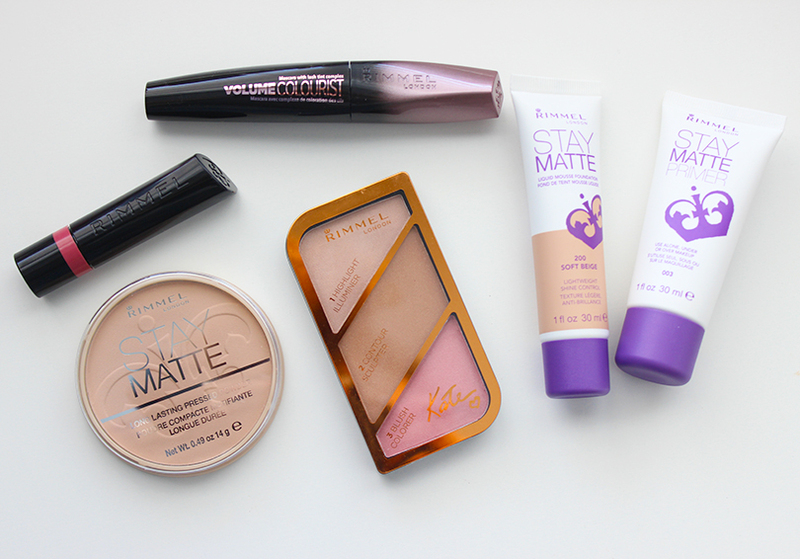 I usually use three Rimmel products to achieve that clean and fresh matte finish: Rimmel Stay Matte Primer, Rimmel Stay Matte Foundation in Soft Beige and then set my whole face with Rimmel Stay Matte Pressed Powder. Rimmel Stay Matte Primer can be worn alone, under or on top of makeup. I really enjoy the lightweight formula and the fact that my skin looks more even right away. Rimmel Stay Matte Foundation in Soft Beige is an oil-free, liquid mousse formula that blends quickly and makes my skin silky smooth and matte. It definitely minimizes the appearance of pores and gives my skin that nice natural, matte finish. Rimmel Stay Matte Pressed Powder is long lasting setting powder that keeps my skin nice and matte for the entire day. This pressed powder is a total must-have! I like this look because it took me literally only 5 minutes to achieve and result is a natural but fresh looking makeup with even complexion. Rimmel Stay Matte products helped me in creating that flawless complexion, without looking like you have any heavy foundation on. The results simply give the impression that you were just born with a fabulous skin, and who wouldn't want that! 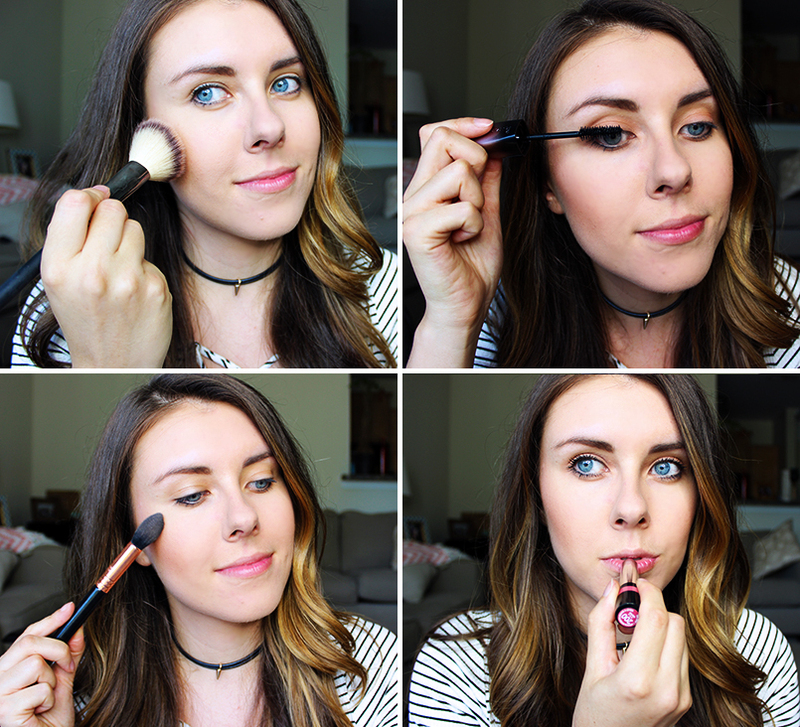 Below you can find step by step everyday natural makeup tutorial using my favorite Rimmel Cosmetics products. First i prepped my face with Rimmel Stay Matte Primer, and then applied Rimmel Stay Matte Foundation in Soft Beige all over my face, including neck area as well. 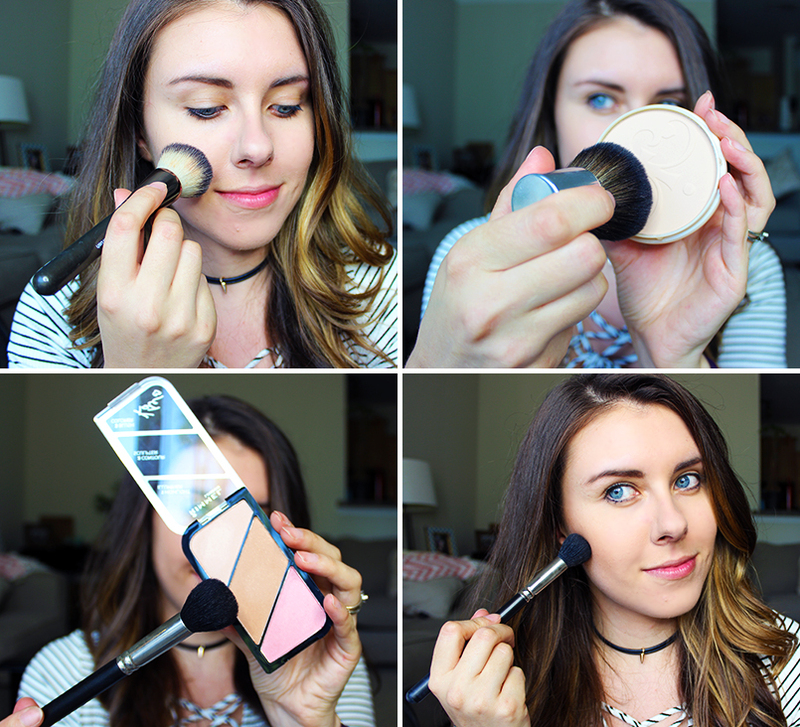 Because of the mousse-like texture this foundation blends out literally in seconds, love it! Next I grabbed my Rimmel Stay Matte Pressed Powder and set my entire face in a patting motion to make sure that the powder won't mix with my foundation. Then using Rimmel Kate Sculpting Kit in the lightest shade, I applied the middle shade, to the hollow of my checks to add some dimension to my face. Next I followed up with some pretty blush from the same Rimmel Kate Sculpting Kit that I applied to the apples of my cheeks and dragged it higher almost all the way to my temples. Next I applied Rimmel Volume Colourist Mascara that not only added lots of volume to my short by nature lashes, but if you use it regularly it gradually darkens your lashes because it contains a lash tint complex, which I think is pretty awesome feature to have in a mascara. To finish up my complexion I applied the lightest shade from Rimmel Kate Sculptin Kit and highlighted high points on my face: cheekbones and bridge of my nose. Then I finished up the whole look with Rimmel The Only 1 Lipstick in It's A Keeper shade, which is a super wearable pretty pink shade and the lipstick itself feels very moisturizing on the lips. 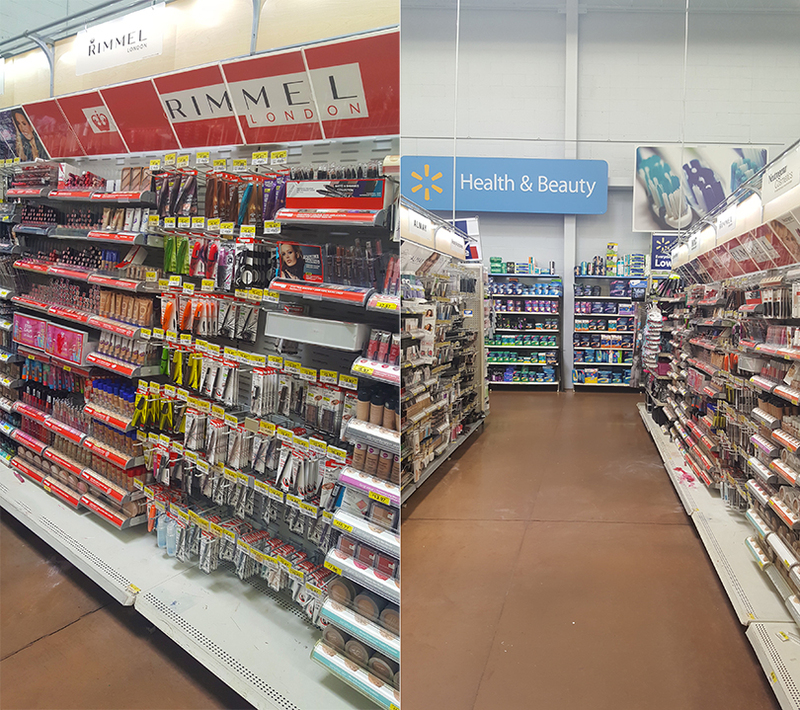 I purchased all of my products at my local Walmart in the Health & Beauty Section. Rimmel products are already supper affordable, but if you Guys want even a better deal, you can save up to $4.50 on Rimmel London products, when using Ibotta website. 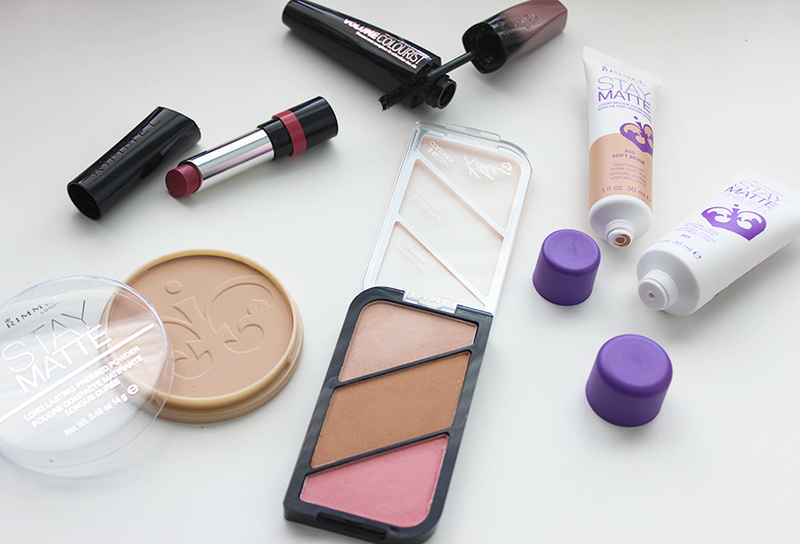 And what are your favorite everyday makeup products?